The Queen and other members of the Royal Family held a Garden Party at Buckingham Palace. For more: ITV article, Zimbio gallery. Doesn't The Duke look particularly dapper today? This is a sharp tie. The Queen's minty ensemble is...hmm, but the Cullinan V can be spotted from a mile away, so that's all as it should be. 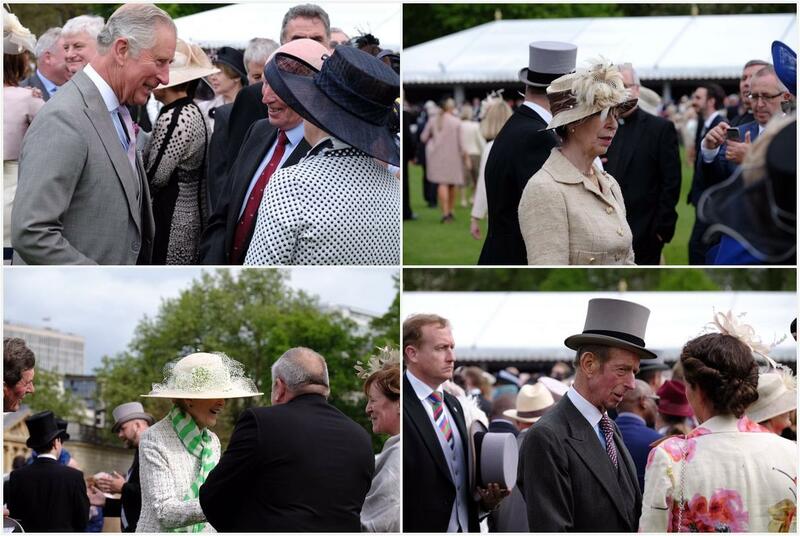 And last but not least: The Prince of Wales, The Princess Royal, The Duke of Kent, and Princess Alexandra of Kent! Princess Alexandra's looking fresh and nearly as sporty as one can in a massive garden party hat, with that striped scarf on.